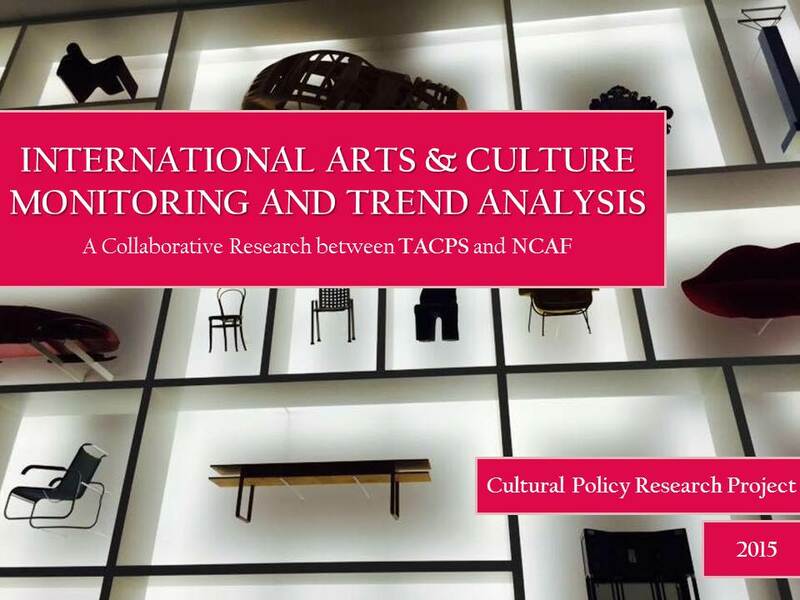 Taiwan Association of Cultural Policy Studies (TACPS) has been awarded full accreditation from the National Culture and Arts Foundation (NCAF) to perform collaborative research on “International Arts & Culture Monitoring and Trend Analysis”. The research project intends to support investigations on funding schemes of culture and arts worldwide as well as its impact. 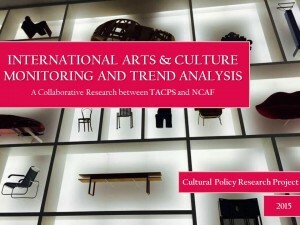 It analyzes cultural policies and trends developed among national and international cultural agencies. The project aims to provide insights on directions and currents of arts and cultural funding systems worldwide, in order to assist in informing the development of cultural policy and grant-making in Taiwan. TACPS is to provide strategic advice and seek forms of sustainable operations for the NCAF, based on well-informed research and analysis. – To conduct research on academic literature, summarize selected art-cultural news and reports, give scholarly reviews and critique essays, as well as produce research reports on funding schemes worldwide. – To provide strategic advice on the development of cultural agencies, or think tanks, in the areas of cultural policy, literature, visual arts, performing arts, and audiovisual media in Taiwan.